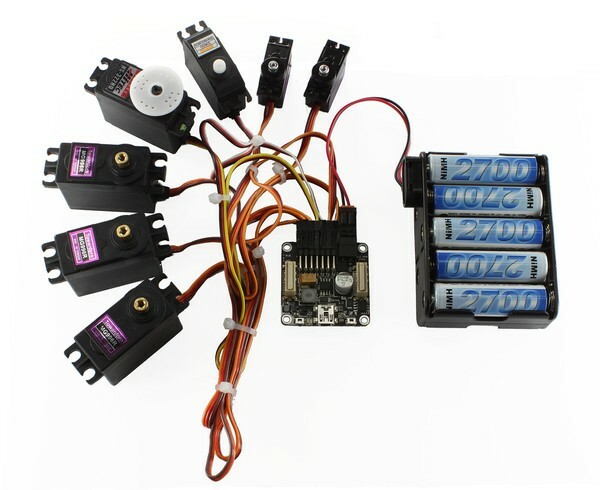 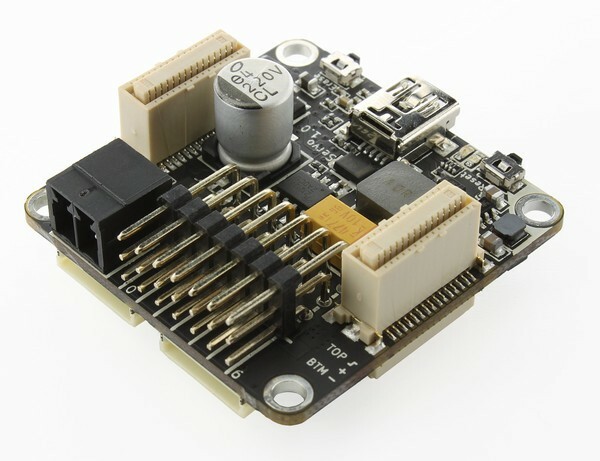 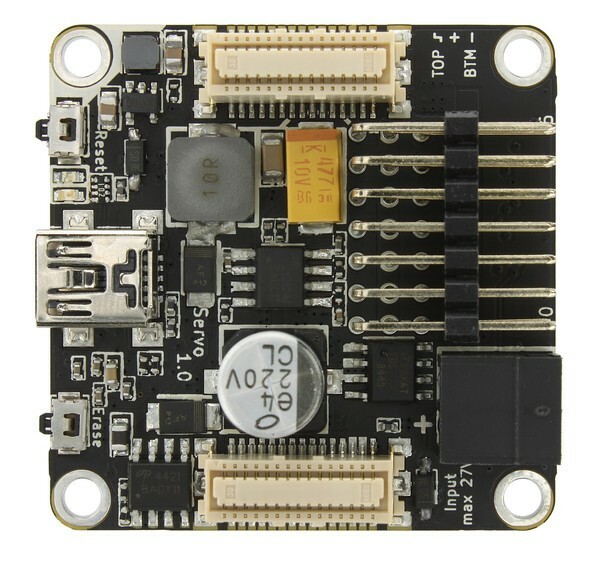 The Servo Brick is able to control up to 7 RC servos with a maximum current of 3A over USB. 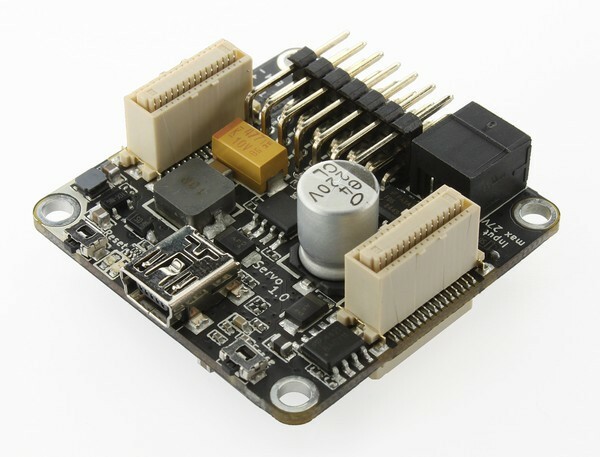 With the provided API for many programming languages you can control the position, velocity and acceleration of the connected servos. 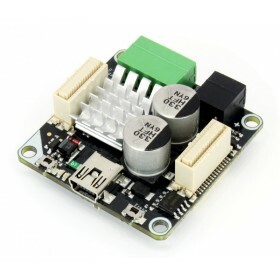 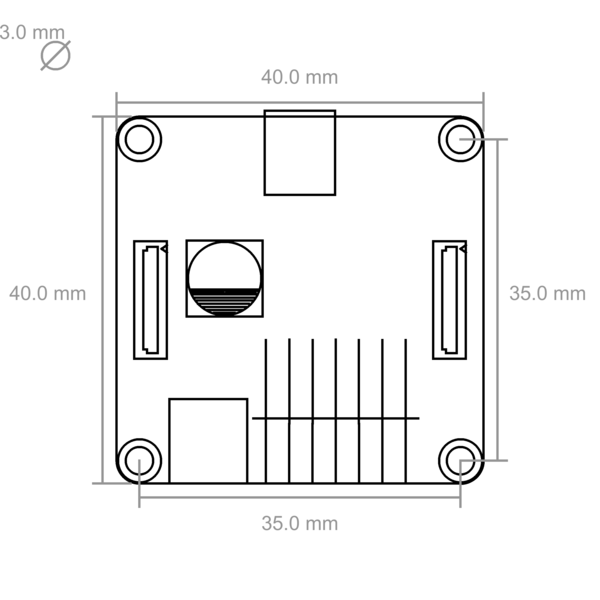 The output voltage is adjustable with API (up to 9V), the drawn current of each servo can be measured independently. 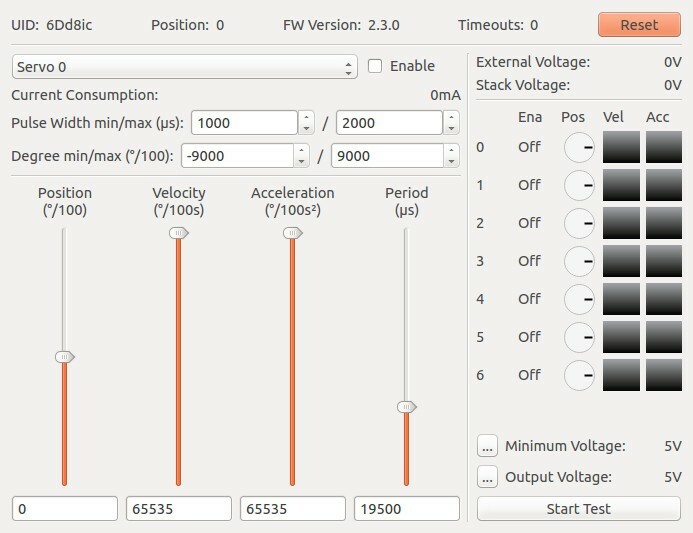 Additionally output PWM is configurable for each servo. 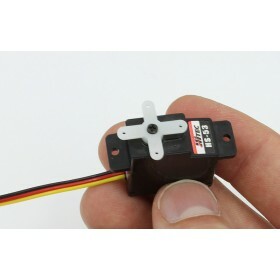 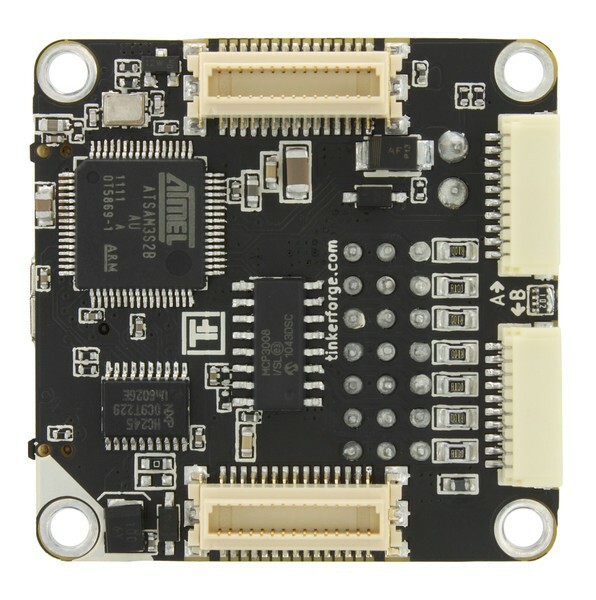 Electronic Speed Controllers (ESC) can be connected instead of RC servos. 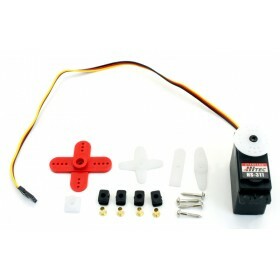 With these, motors e.g Brushless motors, can be controlled. 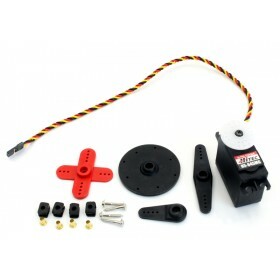 The maximum motor current depends only on the ESC such that it is possible to control motors with 150A or more. 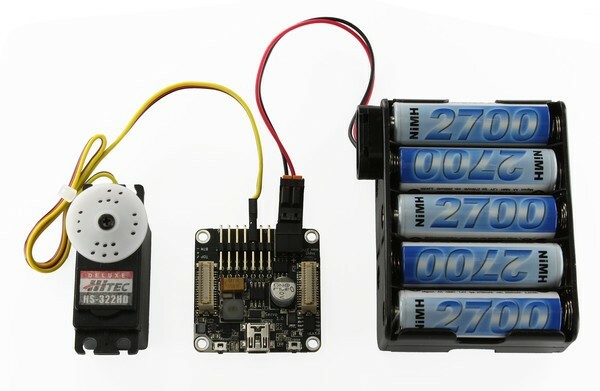 The servos can be powered by an external power supply (black connector) connected directly to the Brick or by the stack internal power supply. 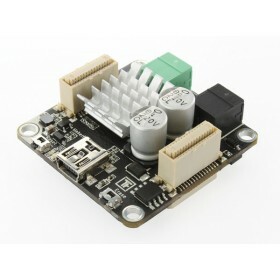 If an external power supply is connected the Brick automatically switches to this power supply.